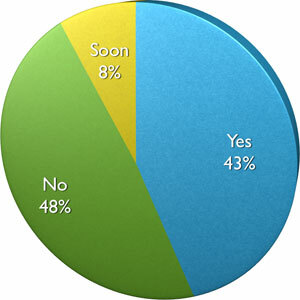 A couple months ago, we ran a poll asking Have You Used The Google Disavow Tool Yet? After close to 500 responses on that poll, I wanted to share the results. In this case, it seems about half used it or will use it and half did not. The disavow link tool by Google launched 11 weeks ago and it is interesting to see how many SEOs have used it or not. Personally, I have not but I don't offer SEO services. Previous story: Google Can Index New Sites Within?